The Grand Eurail Train Adventure: That’s a Wrap! The grand Eurail train adventure across Europe is done. Complete. Finished. Finito. We used our last train pass to travel from Seville to Malaga, which is where we are now. We didn’t really know what to expect of Malaga, but it is beautiful. We are enjoying temps in the low 80’s and fantastic sea breezes. Malaga, it’s where the desert meets the sea. 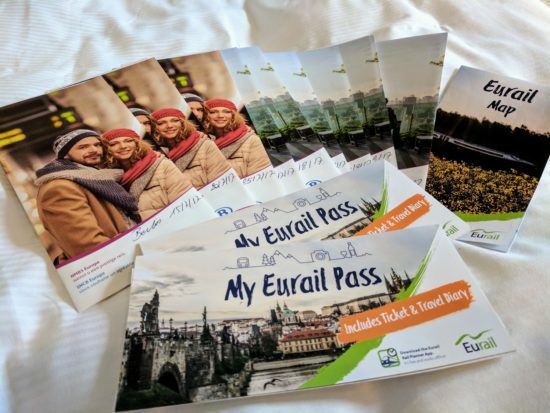 We traveled for a total of eights weeks with Eurail. We were on the move and we moved fast from one destination to the next with the occasional respite in between, such as our two-week stop in picturesque Ljubljana. Two weeks of blissful living in Ljubljana. 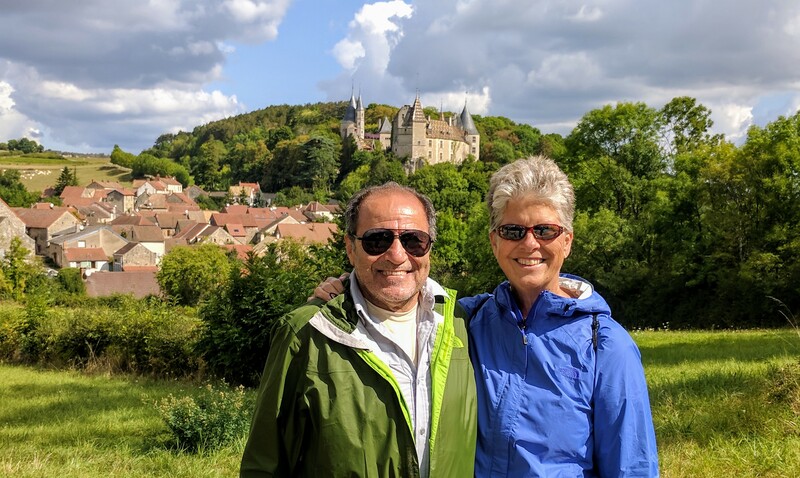 We landed in Lisbon on June 29, then traveled to Lagos where we spent eight days basking in the warmth of the sun before we returned to Lisbon and boarded a flight to Brussels. And, that’s where the grand adventure began. Nine countries and fourteen destinations in eight weeks. Whew! Brussels: La Grand Place in the heart of the historic center and 1€ waffles! Berlin: The Berlin Wall East Side Gallery. Dresden: The complete reconstruction of a city destroyed by war and the Green Vault Museum. Vienna: A lovely city to roam but the highlight was a day trip to the Melk Abbey. Budapest: The stifling heat wave, the historic synagogue and the shoe memorial. 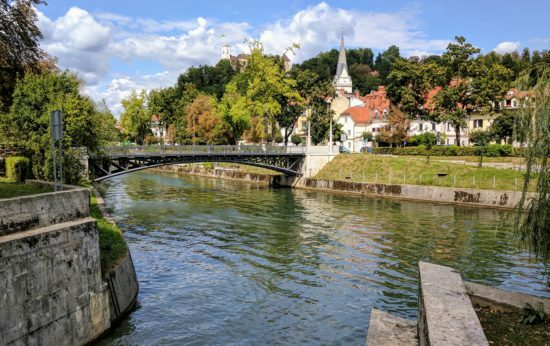 Ljubljana: Two weeks of blissful living in Ljubljana. Salzburg: The majestic mountains, Lake Monseed & The Sound of Music. Dijon: A week long respite in an utterly charming city and riding bikes through the Burgundy vineyards. Lyon: Poor Lyon, we didn’t give you much of a chance, but Murphy’s Law ruled. Montpellier: An unplanned delight with one of the best meals we had on the trip. Sevilla: Hot! Real Alcazar and the Mosque of Cordoba, two outstanding lessons in history. Malaga: Where the desert meets the Mediterranean Sea. Tapas, Sangria and sea breezes. Sometimes, endings are bittersweet. We had ourselves quite the adventure but when we boarded that last train bound for Malaga, we were ready to be done. We traveled far faster than we normally would and we experienced more than we can even remember at this point, but we are a bit road weary. This time in Malaga is the perfect antidote. What’s next? After a few more days of strolling the beach, drinking Sangria and eating our weight in tapas, we’re heading back to Portugal. We’ve booked our tickets to Porto where we plan to unpack our bags for a while. We need to see if we can work our way through the process of securing our Portugal residency. It’s the next step in our little expat experiment. We’ve hit a few snags in the process so we’re not quite sure how it’s all going to come together, if at all, but either way we are definitely looking forward to being back in Porto; one of our favorite cities. Porto, one of our favorite cities. It was great, Suzanne, and exhausting at the same time. But what a great reason to be exhausted, yes?! Wow – What a grand adventure and I have no doubt you’ll be telling/sharing stories for months! Your photos are gorgeous. So many of the cities are on my bucket list and, if I have to solo travel to see them, then that’ll be the plan. Hope the snags towards working through the residency process can be solved and wishing you lots of luck in Porto. Let me know when you get settled in and I’ll hop the train for a quick visit! Thanks for traveling along with us, Anita. Stay tuned, there are definitely more stories coming. Sad to see your rail journey come to an end, but looking forward to the tales you must have in store for us. I think the key to long-term travel is to plant in one location for at least 1 to 2 weeks from time to time, just to catch your breath. We did 15 days with 5 destinations on Eurail a while back and even that short time blurred together after a while. Thank heaven for notes and photos! Good luck in Porto, I can’t think of a better place to decompress. Agree, Suzanne. A slower pace allows more time for relaxation and appreciation of the surroundings, but, when opportunity knocks it’s a good idea to answer the door! 🙂 And, yes, I do have a wealth of stories to share. So fun to travel with you. 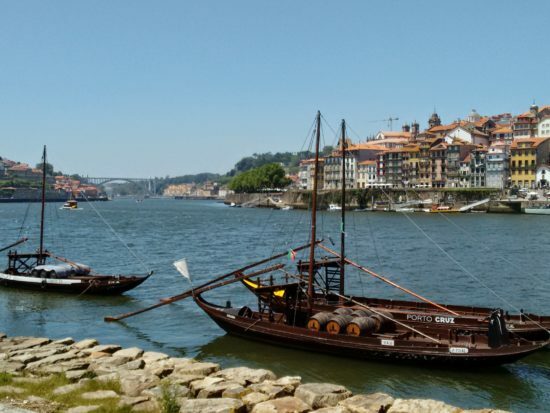 Porto is the perfect place to put down a few roots. We’re looking forward to our return to Porto! Thanks for traveling along with us. We have only just found your blog via a link from Big Fat Travel Adventure of which we are avid followers and fans. 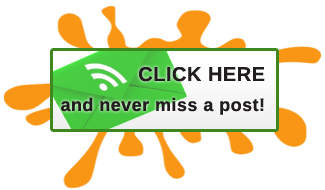 We have only skimmed the surface of your blog and already love what we have read! 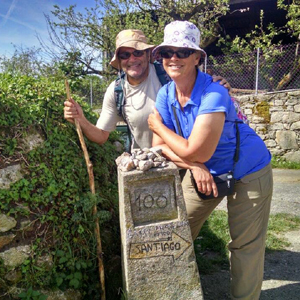 We are planning on doing the Camino next year so your posts on that were particularly helpful. Whatsmore, we own a little townhouse in a “pueblo blanco” just an hour from Malaga…..we are here at the moment enjoying the sunshine and lovely weather you mention…..if you fancy a visit to the mountains we would love to meet you! We look forward to reading more of your adventures. It does indeed, Gilda! Thanks so much for traveling along with us and the friendship! Sounds like you had a great adventure Patti! Enjoy Southern Spain,we love the region. We did indeed, Frank! It was a crazy fast 8-week adventure but amazing just the same. We love Spain and now can add Malaga to our list of favorite places. Wow! It seems like you had lots of fun and you visited some great destinations. What are your highlights of Malaga and how many days would you recommend staying there? Thanks, Agness, we did indeed have quite the adventure. We spent 10 days in Malaga and it was ideal. There is plenty to do to keep busy, or do nothing at all. I don’t believe I’d go in the summer as I’m sure it would be very crowded. Mid September was a lovely time as the days were still warm but not hot, and the summer crowds had thinned. Highlights include strolling the beach, a fantastic flamenco show, the tapas and the historic sites.